To cater the variegated demands of our prestigious clients, we are highly engrossed in providing a wide range of EB Metering Panel. Our offered panel is precisely manufactured using the best grade raw material, components and modern technology. The provided panel is highly appreciated by our clients for its minimal maintenance and long service life. 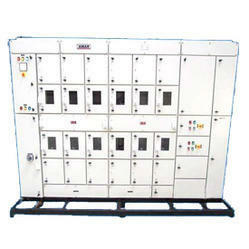 This panel can be availed in different variety of specifications as per the requirements of the clients. Due to our rapid growth and development in the industry we have emerged as a leading distributor and supplier of wide range of industrial capacitors and digital panel meters. We are considered as one the most trusted traders in the industry. Our hardworking and dedicated team makes all their efforts in providing quality products to our valuable customers. All our products are offered in accordance to the international standards.